In the current tough time of low oil prices we need to get creative and think ‘outside the box’, or rather outside our industry, in search of ideas to streamline our processes and save costs. An analogy to the airline business is worthy of consideration here. From outstanding safety records, excellent maintenance systems to precise logistical operations, these and many other aspects are common to our Oil & Gas industry. If the airline industry is sustainable in a fluctuating, fast paced, high risk environment like ours and can handle 100,000 commercial flights a DAY that move 3 billion passengers a year, I believe we should take a moment to study this industry in depth. Given our difficult economic environment right now I will draw immediate parallels to the Low Cost Carrier (LCC) or budget airline model. 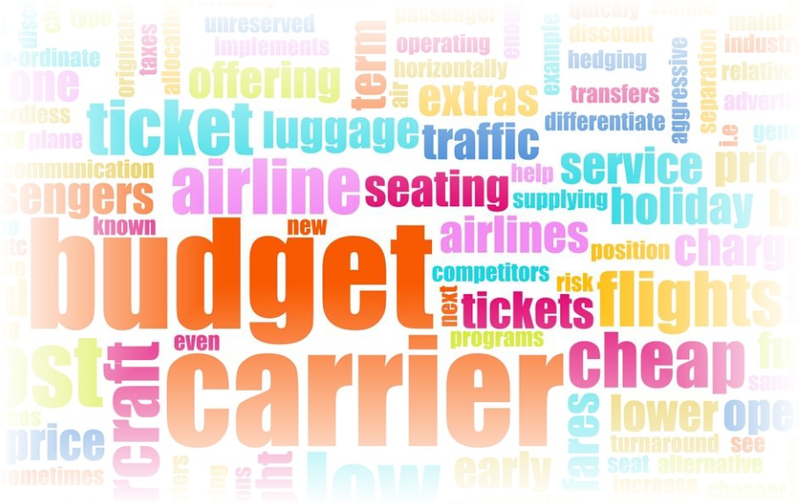 What brought about the rise of the budget carrier, and how did they become so successful alongside their full fare counterparts? They operate the same airplanes as non-budget airlines and also draw professionals from the same pool. The pilots need the same training system, as well as in-flight and ground personnel. Most of them even share the same airport facilities. So where is the actual difference that allows them to lower the ticket price and still be profitable? So what can we learn from this that can be applied to our drilling activities? While LCCs started disrupting the business model by simply eliminating or charging extra for non-essential services, they also took this opportunity to streamline and optimize the rest of their business operations, which can be an inspiration for drilling in Oil & Gas. • Do the rigs (and other main service providers) have common modus operandi and similar procedures? If not, can anything be done to simplify operations? LCC: Flying a single aircraft type reduces the complexity and cost of maintenance. Aircraft manufacturers offer a wide range of aircraft (covering volume, distance, and different purposes), but budget airlines only choose a few of them and assign them to as many routes as possible. In our industry manufacturers build “fit for purpose” drilling rigs, but they could also standardize them in a similar fashion to airplane manufacturers designing their planes. • Could operators be using no-frills equipment that can do the same job at a lower unit cost? ——LCC: No frequent flyer programs, no seat allocation, no in-flight entertainment etc. included in the basic cost of tickets. • Do we know exactly which top 20% of operations are taking up the most time and cost? Are these operations under control (execution time has low dispersion from many samples)? Are they benchmarked against other rigs and other operators? ——-LCC: Reducing capital and leasing costs, airport costs, general overheads, ways to reduce fuel costs. • Is there a very precise plan drawn up before drilling which can be followed up operation by operation? This gives the opportunity to assess the impact of unplanned operations that are executed as well as the impact of planned operations that aren’t executed. These types of operations are anomalies which can have costly consequences, directly or indirectly. They need to be understood and have a root-cause analysis clarified, in order to prevent any ongoing waste of resources. ——-LCC: Keep routes simple and profitable, with regular evaluation of the viability of each; benchmarking each flight for continuous improvement. • Are the logistics programs kept informed of the latest changes in the well development, ensuring the correct amount of resources are utilised at the correct time? We want to avoid a shortfall (wait on resources) or an oversupply (no space to store) during drilling activities. ——-LCC: Simplified maintenance program, tight integration between operations and logistics; luggage handling, limited connections etc. • How can we handle an outstanding safety program across the whole industry? ——-LCC: A very detailed safety program; thorough root cause analysis; safety regulation from operators, regulators, government, supplier, etc. The whole ecosystem is prepared to maximise safety. That’s why safety records haven’t been compromised even with the increased number of flights sold and delivered in this ‘budget’ manner. It is worth understanding that the aviation industry as a whole was born with ultimate safety in mind as the failure costs are enormous, affecting human lives directly. Despite their cuts, LCC companies continue to operate on the existing safety paradigm. Oil & Gas started a safety program which is growing in effectiveness and its application, but only the collective responsibility of all parties involved will lead to outstanding results. These key points, among others, need to be reflected on in order to bring our industry to the next level. Even in the high risk and volatile Oil & Gas industry it isn’t impossible to create an ecosystem that can lead to further savings without jeopardizing safety. That’s what the airline industry, budget or not, has safely and successfully achieved to deliver growth and profit, after all!